WhatsApp officially launched its new WhatsApp Business app in selected markets, including Indonesia, Italy, Mexico, the U.K. and the U.S. which will be expanded worldwide soon. It has added business profiles and new messaging advanced tools to communicate with customers on the platform. WhatsApp official says people will know when they’re talking to a business because these accounts will be listed as “Business Accounts.” Over time, some of these will become “Confirmed Accounts,” after WhatsApp verifies the account phone number is registered with matches the business phone number. The app offers “quick replies” that gives fast replies to the customers’ frequently asked questions; “greeting messages” which introduce customers to the business and products; and “away messages,” that let customers know you’re busy. 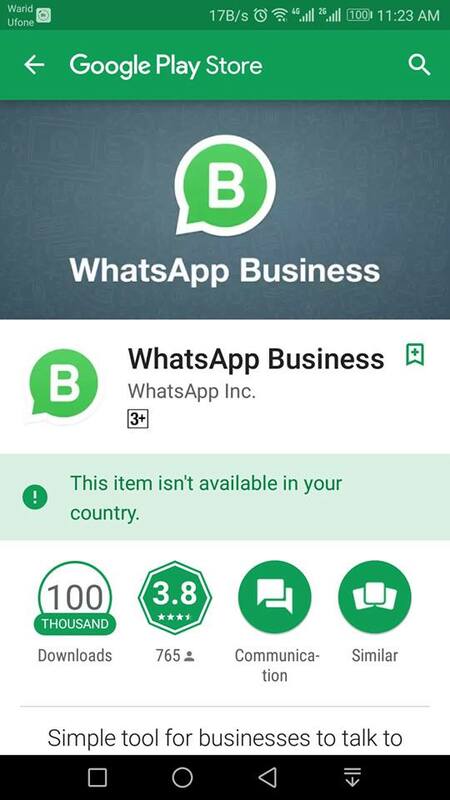 At launch, the WhatsApp Business can be freely downloaded from Google Play in supported markets. Kotlin development company helps you to enhance your business development. PhD Scholar at University College Dublin, Ireland. 3 Reasons why you need an Article Rewriting tool!